Blended, shaken, stirred, sweet, tangy, or citrusy, this summertime collection of cocktails will have everybody's senses singing. Entertaining expert Jessica Strand puts a new spin on classic concoctions by mixing and matching garnishes and adornments and using flavored vodkas and unique ingredients to create modern fusion drinks. Here's the best part: The drinks are easy to make and absolutely delicious, not to mention gorgeous in a glass. Passionfruit Margaritas, Blackberry Mojitos, Asian Pear Martinis, and artfully styled daiquiris all make for something new and cool to bring to the party. 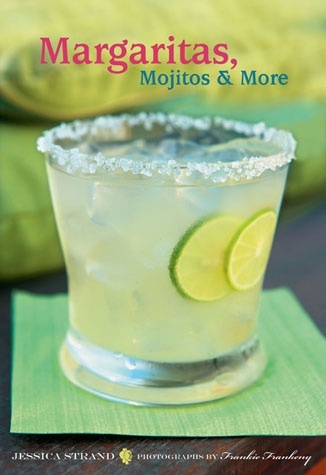 Summer might not last forever, but the good times can go on and on with Margaritas, Mojitos, and More.